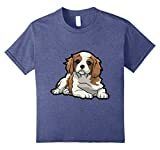 Although a relatively new breed of dog, the Cavalier King Charles Spaniel has become a well-recognized and popular canine. 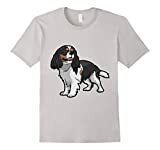 The Cavalier King Charles Spaniel is classified as a Toy Breed by the Kennel Club of America and are recognised as being popular Companion or Lapdogs due to their small size, loyal nature and loving temperament. They have feathery fur and are therefore not Hypoallergenic. Unfortunately the Cavalier suffers a range of common health problems and therefore have a relatively short lifespan of around 12 years. They are a pedigree Dog and therefore command high prices, however at around $800 from a reputable breeder, they are less expensive than some more designer breeds. There is no difference in ideal Weight or Height for a Male or Female Cavalier King Charles Spaniels. But there may be other differentiating factors which may determine which gender you choose. How Many Calories Do Cavalier King Charles Spaniels Need? It’s worth noting that Cavaliers have a tendency to put on weight. Especially without a Calorie controlled diet. Below are some suggested Calorie targets for different types of Cavalier. It’s always worth consulting your veterinarian for more in depth advice tailored to your dog. As a common family pet, the Cavalier King Charles Spaniel is one of the friendliest dogs known to man. Its non-aggressive nature and overall sweet demeanor greatly contribute to this conception. Gentle and playful, they are great with children. Cavaliers are generally happy dogs and are not known to shy away from humans or be nervous around them. They rank as one of the smaller breeds of dogs, but what they lack in size they make up for in energy and personality. Although they do not require extensive exercise, they do enjoy running around in the yard or going for daily walks. They are lovers of the outdoors and have strong hunting tendencies as can be expected from the love and use of them in the royal court in England. Cavaliers are also the perfect companions, not only to children, but also to senior citizens or those living alone. As for their flaws, they may at times become timid. This is a situation that will have to be monitored in order to prevent it from increasing. They enjoy people and other dogs, thus, exposing them to socialize with both should help them avoid timidity. The official breed standard is published by the American Kennel Club, below is a summary of some of the main points. General Appearance – A graceful and well-balanced dog with a gentle, melting expression unique to the breed. Head – The head is slightly rounded, but should overall appear flat. The ears are high, but not close to each other and should be feathered, encompassing the face. The eyes should be a warm, dark brown color, large, round, but not protruding in any way. Muzzle should be slightly tapered. Length from stop to nose should be about 1.5 inches. Bite should be a complete and perfect scissors bite, with no tendency to an undershot bite. Neck & Body – The neck should be fairly long with a small arch descending into the chest. The top of the body should be level while standing and moving. Ribs are to be well sprung but not barreling. Tail – Length of the tail should be proportionate to the rest of the body, happily moving but never high above the body. Docking was previously optional, allowing for no more than one-third taken off, but is no longer permitted. Forequarters – Shoulders should be laid back, legs firmly straight, and moderately muscled. Hindquarters – Stifles should be well-turned and legs moderately muscled with no tendency to cow or sickle hocks. Feet – Feet should be compact, cushioned, and well feathered. Coat – The coat should be of medium length, silky, and not curled. However, a slight wave is admissible. Overall, Cavaliers should be well feathered. It is never appropriate to trim them to any extent, by any means. Gait – Mobile, yet sophisticated movement. Legs should exhibit good strides and parallel movement. Size – Generally should be within 12-13 inches to the withers, or shoulder blades of the dog. The dog is desirable between 13-18 pounds. Temperament – Should be happy, friendly, and active. Unafraid of people, not timid or shy, nor aggressive. There are four recognized colors; Blenheim, Ruby, Black & Tan, Tricolor. Although some may not recognize it, purely because of the common namesake, there are considerable differences between the two breeds. Size 13-18 lbs. 8-14 lbs. To understand how it has captivated the hearts of several dog owners and lovers one must take a journey through its history. The Cavalier King Charles Spaniel originated, as did the King Charles Spaniel, from the English Toy Spaniels. These little dogs of royalty span a history of five centuries, dating back to the 1500’s. During the reign of the Stuart monarchy, which encompassed the reign of both King Charles I and II, the Toy Spaniels enjoyed growing popularity. The family had a natural affinity for the dogs, prompting the name King Charles Spaniels. Eventually, the “Charlies” as they were affectionately called, fell out of favor. Beginning in the mid-19th century, England became passionate about dog breeding and displaying their premium pooches in dog shows. The breeding produced new types of dogs and also significant altered existing breeds, the King Charles Spaniels included. In a hope to re-breed the original King Charles Spaniels, American dog breeder, Roswell Eldridge, visited England in the 1920’s. In order to bring the most original looking King Charles Spaniels to him, he received the authorization to create a dog show with prize money as an incentive. Year after year, the most original male and female dogs were chosen to re-breed. This continued until after five years, a King Charles Spaniel, matching a painting from centuries ago that had inspired Mr. Eldridge, entitled, “The Cavalier’s Pets,” was found. During that dog show in 1928, the name Cavalier King Charles Spaniel was coined and their breed standard drafted. However, it was not until 1945 that the Cavalier was given a registration with the Kennel Club. 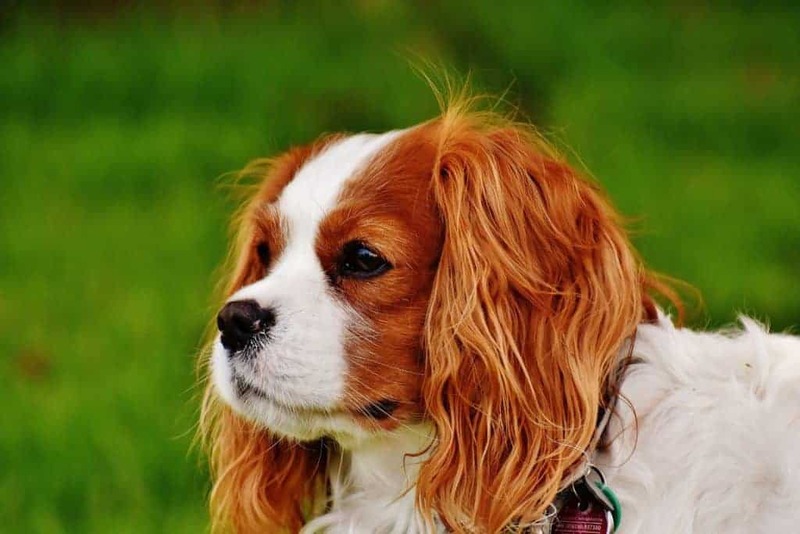 Want to learn more about Cavalier King Charles Spaniels? Find out much more about the Cavalier King Charles Spaniel with our detailed questions and answers.